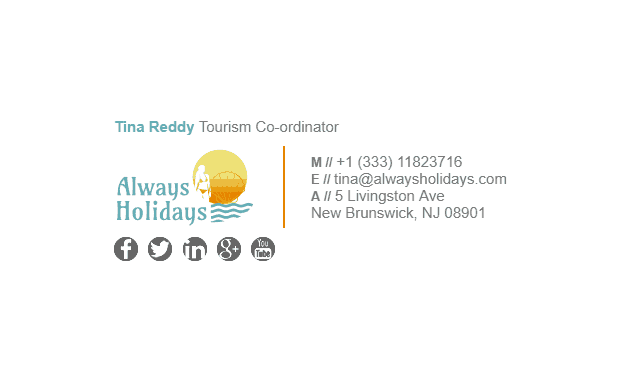 The tourism industry is a huge one and a very competitive one at that. There are plenty of travel companies offering flight, boat or ski resort packages at just a small cost. In order to be competitive in this industry, you have to get your marketing right, and what better way to start than your email signature. 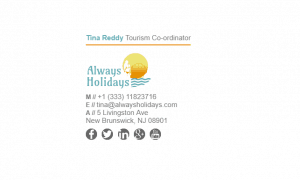 Having a banner in your email signature makes customers aware of your current deals and this is a great thing if you are trying to push a product or service. 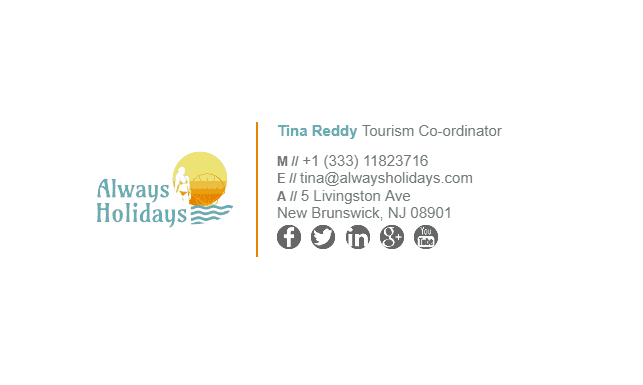 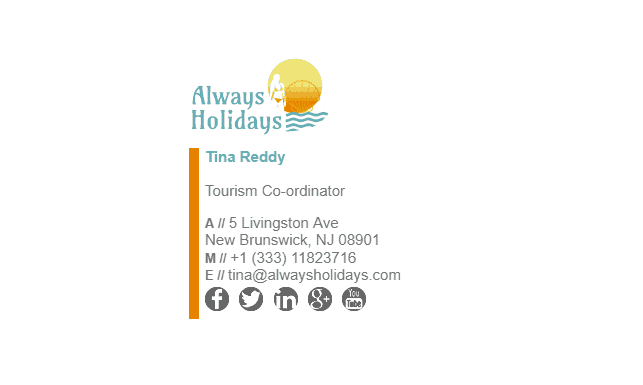 Have a browse through our tourism email signature examples below. 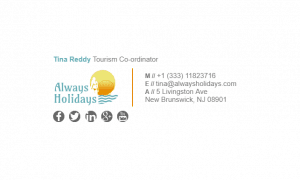 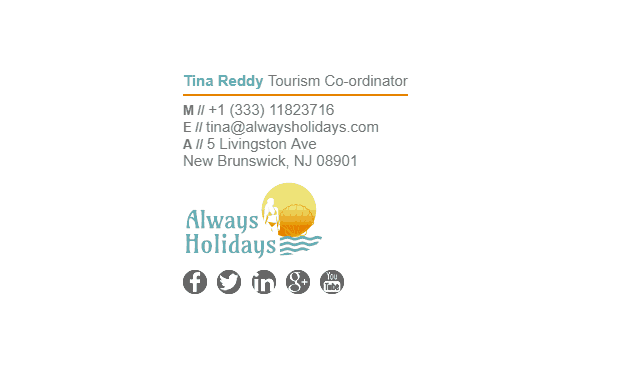 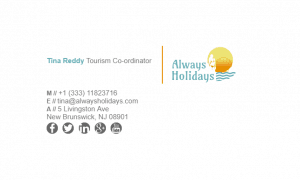 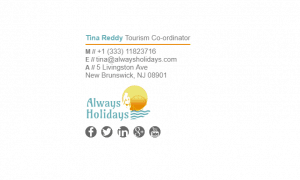 What Should Be Included in a Tourism Email Signature?